In a video post that recently surfaced online, Nigeria’s vice president, Yemi Osinbajo, was spotted in the heartwarming moment he met his mother for the first time, after his helicopter crash survival. Legit.ng had previously gathered a report of the vice president’s wife, Dolapo Osinbajo, who had taken to social media with a heartfelt appreciation post, on behalf of her darling husband. She had thanked God for sparing his life from the life threatening incident. 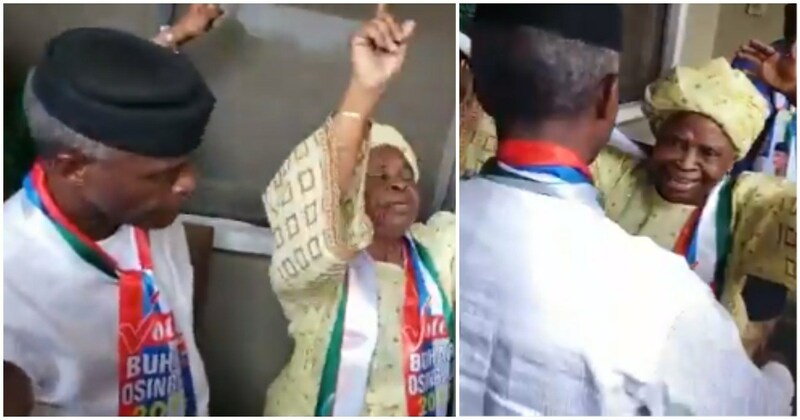 In a similar development, a video has been posted on the Twitter timeline of Nigerian lawyer, Festus Keyamo, showing the emotional moment in which the mother of the VP first set her eyes on her son, after his survival. From portions of the video, mother and son were spotted in a warm embrace while others that were present joined them in singing and appreciating God for his mercies and power to deliver.